Peace be with you this beautiful sunny August day. 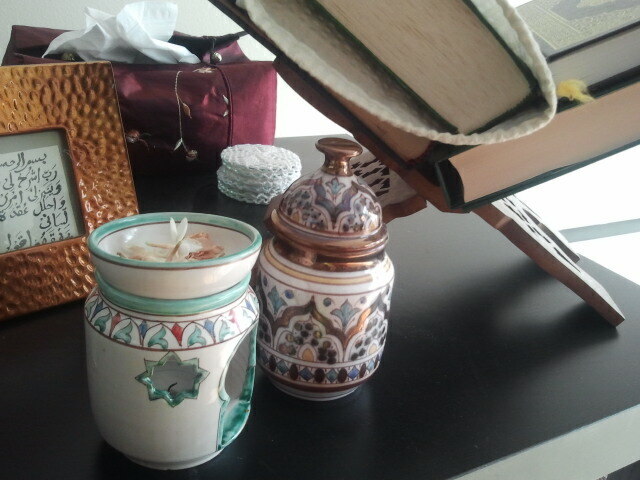 What a blessing to enjoy that ‘glorious morning light’ (Quran 91:1) and be in good health. I pray you who read this, are all in good health, physically, mentally and most importantly, emotionally. I pray your heart is expanded and filled with that sense of true belonging that is the foundation of serenity. And who do we belong to, except to the One who made us. This is a post about the artist Shu’aib. I was fortunate to meet him when I was in Spain this Spring. He is a beautifully humble man. A delight to be around. The type of person, one feels ennobled by, not in a grandiose manner, but due to his sincere humility and beautiful comportment. Perhaps this is what the artisans and guildsman of old were like. Truly dedicated to a craft and they have a sense of dignity in how they carry themselves. He is a Spaniard, who I believe, like many thousands of others, are discovering that centuries ago their ancestors were Spanish Muslims. Please note, ethnic Spanish Muslims and not Arabs who lived in Spain. I do not know if this is what lead him to Islam. But he converted and unfortunately then faced a lot of hostility from his surroundings. So much that he had to move. 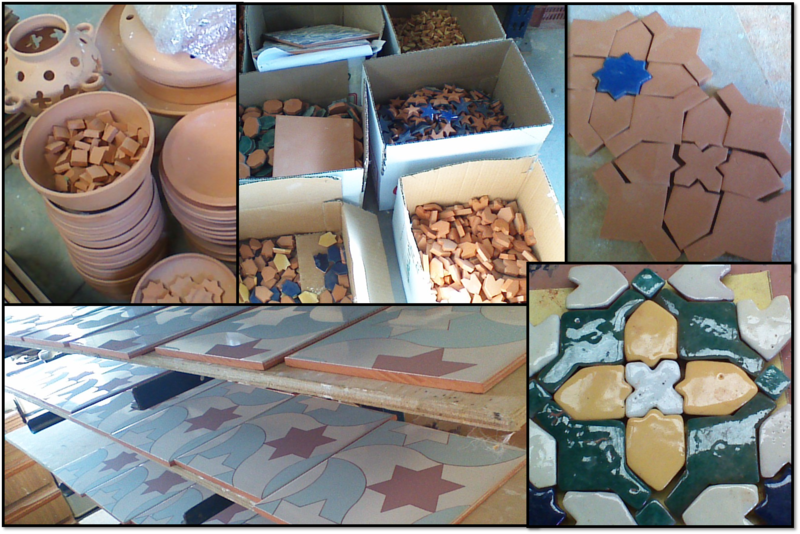 His trade is in ceramic work and he hand crafts some gorgeous pieces. 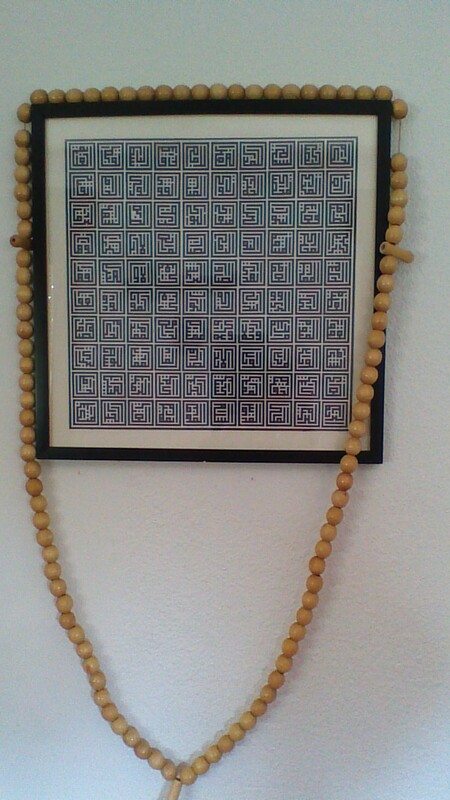 He has commissions from some major mosques around the world I was told. He lives in a complex that is somewhat like a ‘kibbutz’ I think. There is a house that has a prayer hall, his workshop, garden plots and some farm land in the back, and goats! 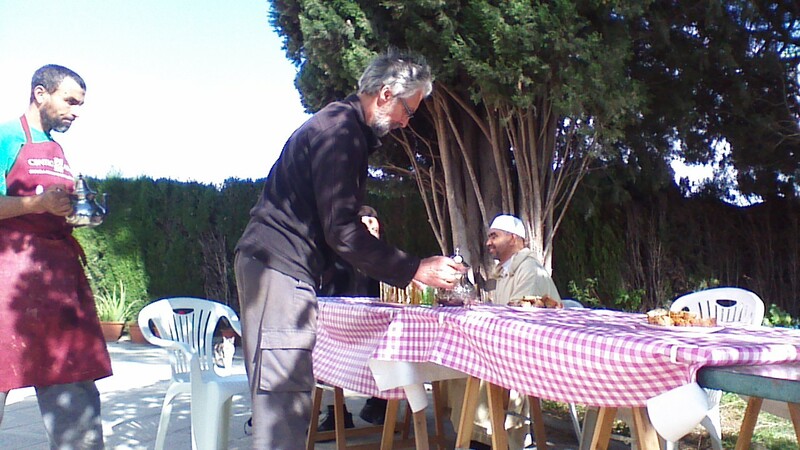 We offered the noon prayer there and then stayed to enjoy a very special tea that he served us out in the garden. He has a website, Al-Yarrar (linked) but I am not sure you can buy online. 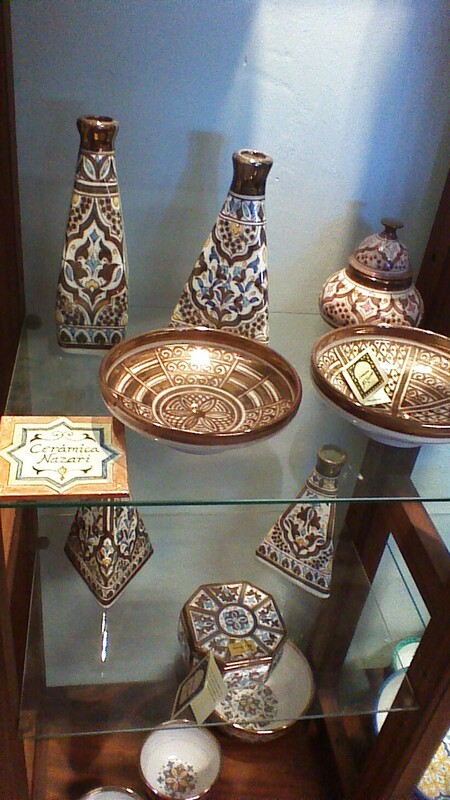 A speciality to the kingdom of Granada was the Nasari style pottery, a type of lusterware. 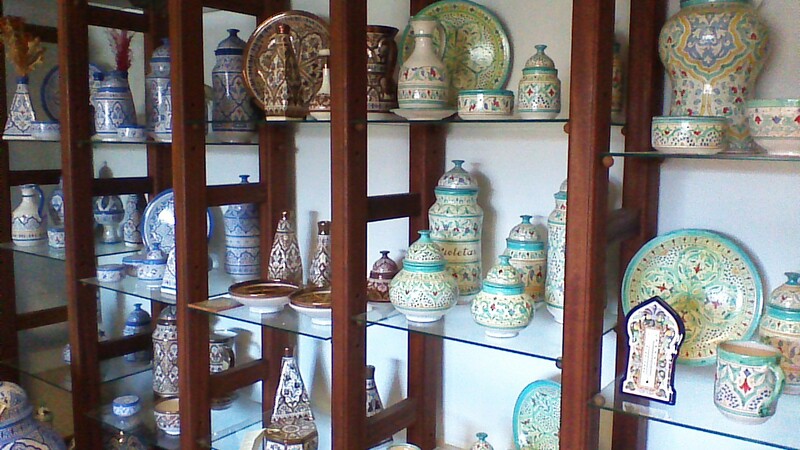 Lusterware is a technique developed during the Islamic Golden Age in Iraq (9th or 10th CE / 3rd or 4th Hijri?) and then it soon spread across the Muslim world. It involves reducing elements through a firing process to produce beautiful shining gold-like effects and can be done in other colours too. Here is a nice article with information. 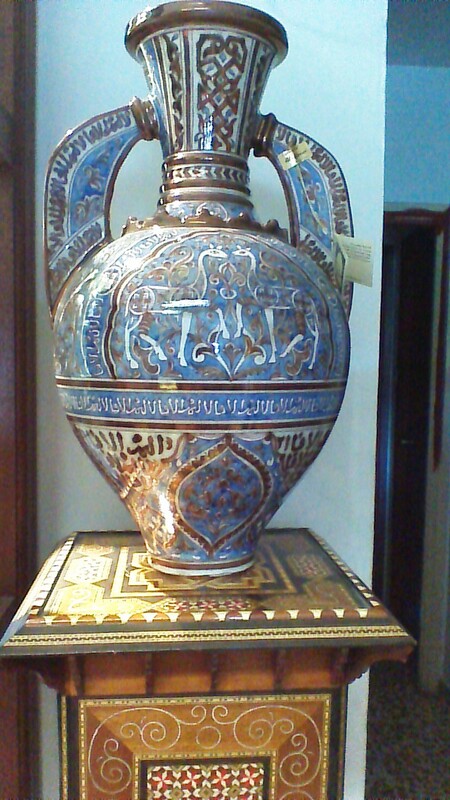 One of the most famous remaining examples of this style is the ‘vase of the gazelles’ in the Alhambra palace. Here is a picture, it really is stunning. To end some pictures I took. Captions on the images. 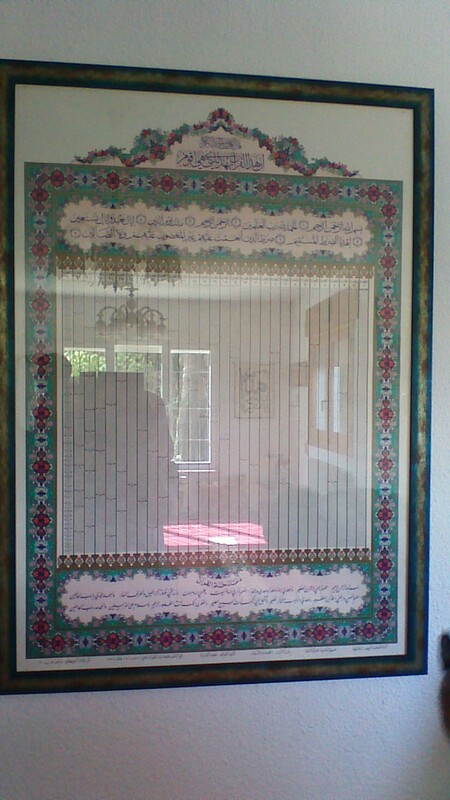 I especially liked the image in the prayer hall – it is the entire quran on one sheet of paper. I could actually read the verses! I am not sure if it is a hand-written Quran or not. The entire Quran! And in my reading of it not a single vowel was out of place. The size must have been 1.5 ft by 2.5 ft.
Shuaib pouring tea in the garden. I don’t have his permission to share this, but I hope he won’t mind. May God bless our brother Shu’aib and give him every success here and hereafter. Wow Mashallah the Photography, the artifacts everything is just stunning ! I love your blog 🙂 Looking forward to read more of your articles. JazakAllah !